These little nuggets of joy are going to set alight your training week and have you striding right past the tuck shop! 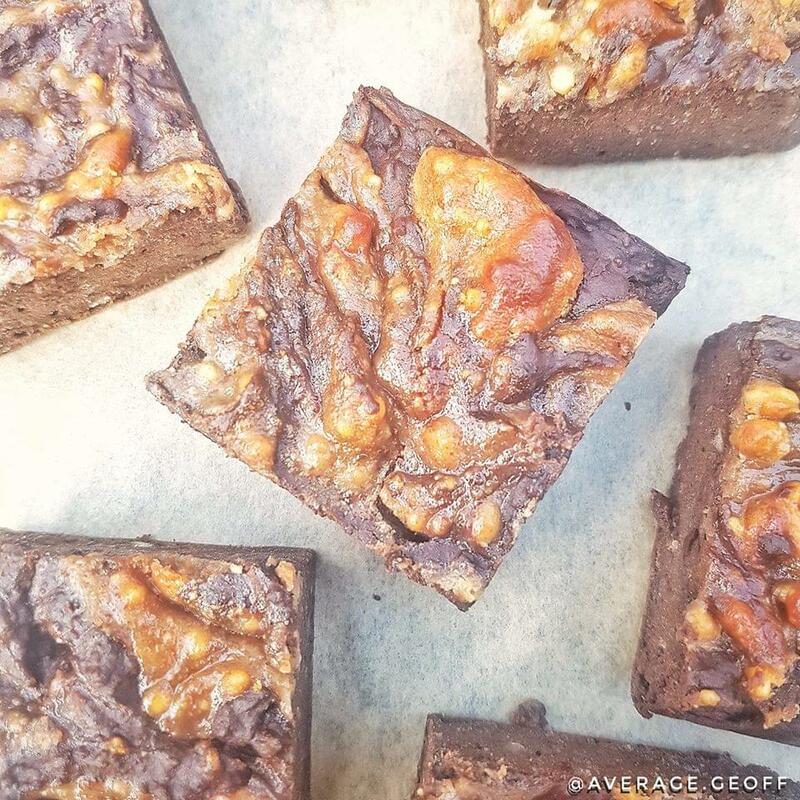 Don't freak out at the first ingredients, trust me it works and you'll love the fudgey texture it gives these brownies. Whack all the brownie bits in a blender and blitz up until smooth and consistent. Line a loaf tin with baking paper and get that mix in there. Next mix together the PB swirl ingredients and drop some small dollops on top of the brownie mix. Using a skewer, make swirls by drawing through the PB and brownie mix. Bake in an oven pre heated at 170°c for 20-25 minutes.